Automated home lighting systems might sound like a luxury product for lazy people, but they’re actually designed to give you maximum control over every element of lighting in your home. Plus, they’re time-saving, cost-effective, intelligent, and energy-efficient, and best of all, they allow you to instantly create different moods throughout multiple rooms. 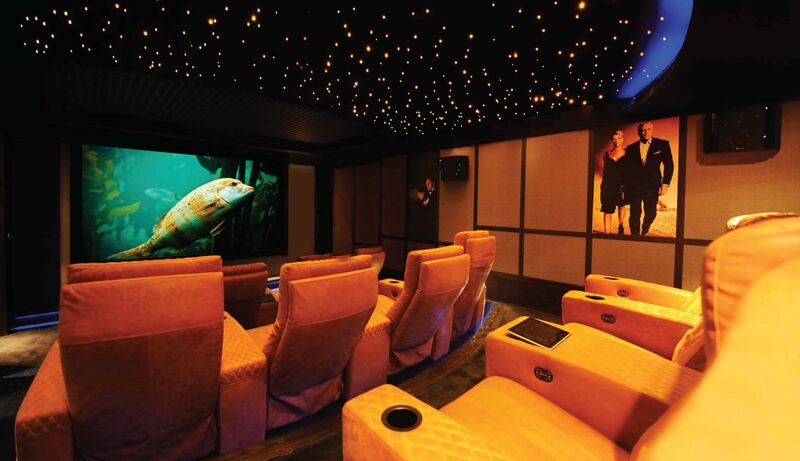 Imagine you’ve invited your friends round to enjoy a night of movies. You’ve got everything you need – the 50” 3D TV, surround sound system, Blu-Ray player, and comfy armchairs – but there’s one thing you hadn’t counted on – the glare from your ceiling or wall lights. While dimming the lighting to create an authentic cinema experience might not seem like an onerous task, you’re bound to want to take breaks throughout the evening when you’ll need to turn the lights back up temporarily. Thanks to Rako home lighting controls, you can instantly lower or increase the level of lighting in the areas required without having to constantly up to access the light switch. If you have a display cabinet in your hallway, landing, kitchen, or living room, Rako home lighting controls can help showcase it in the best possible light. Equally, you may wish to highlight certain areas of your house of flat, such as a breakfast bar, dining area, drinks cabinet or tropical fish tank. Rako gives you the option to retrospectively install wired, wireless or combination systems in any room using a variety of modules depending on your preference. For example, you may wish to use LEDs in one area, low-voltage in another, and incandescent in a third. Of course, home lighting controls don’t just make your life easier, and your home appear more inviting. They can also help with security. Rako makes a range of wireless and non-wireless accessories to suit your every need. Products like the TCM time-clock can automatically activate lights in your chosen area at dusk, run a sequence, or simulate your normal lighting pattern when you’re away on holiday. Rako has created handy mobile apps for iPhone/iPad and Android users. They allow you to take full control of your Rako lighting system when you’re at home using your local area network or when you’re at the office, on holiday, or on the train via the internet. The on-screen touch sliders let you select and control each element of your home’s individual areas. Plus, you can save and easily access your preferred ‘scene’ settings so that you can always be sure of a warm welcome home. If you’d like to find out more about how Rococo Systems can help you plan and implement a state-of-the-art home lighting control solution for your house or flat, give us a call today on 01277 890 888 (Essex) or 020 7454 1234 (London). Alternatively, you can complete our online contact form, and we’ll respond to you as quickly as possible.